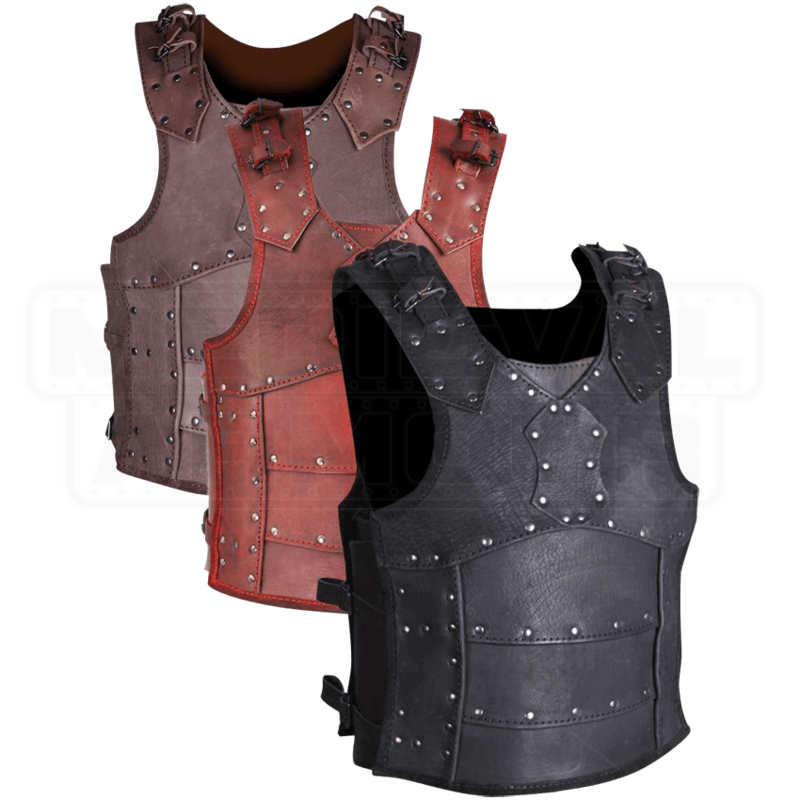 Made of natural, high-quality leather, the Albrecht Cuirass makes a statement with its detailed design and versatile style. 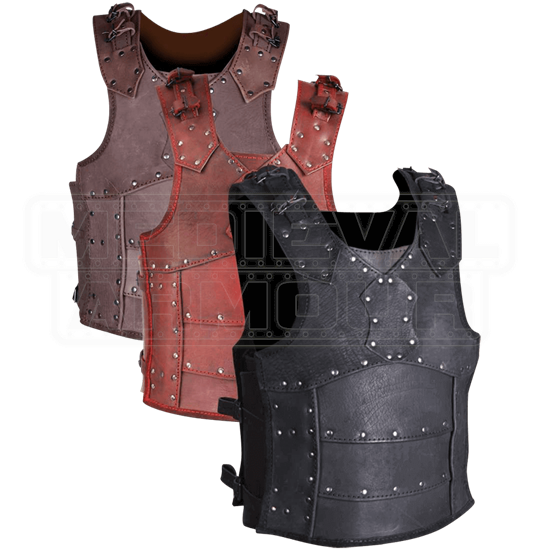 Including both a breastplate and backplate attached with adjustable leather straps, wear this medieval armour for LARP and historical reenactments. The different segments of each plate are layered together and attached with metal grommets. 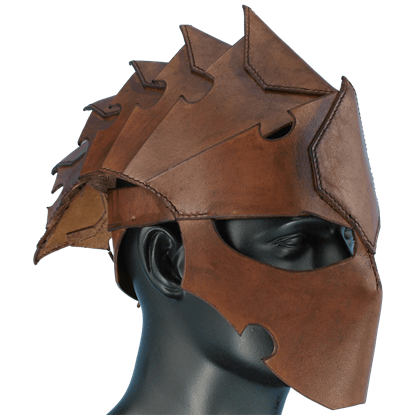 With leather straps and buckles at the shoulder, the wearer can easily attach other pieces of armour to this leather cuirass, such as the Albrecht Spaulders (MY100249). Available in several classic colors. 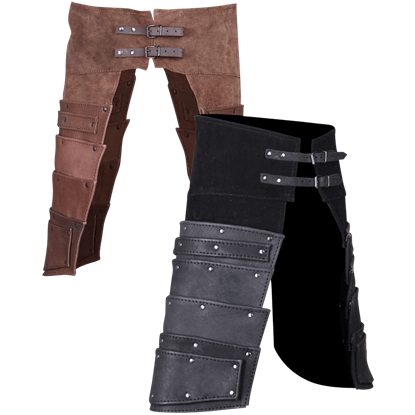 Sturdy, medium-weight leather. Well cut, doesn't restrict movement much. Comfortable for longer wear, but can still take a solid hit. 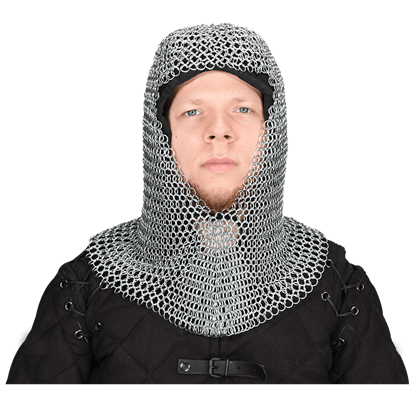 My advice, find a squire, the side buckles work better with assistance.